She writes that as many as 67 million American adults live with the condition. And high blood pressure is the largest risk factor for death by cardiovascular disease, which happens every 39 seconds in the United States. And even some medications developed to treat the condition have generated health concerns of their own. 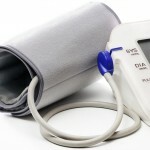 The U.S. Food and Drug Administration is investigating whether the blood pressure drug Benicar increases the risk of heart-related deaths. A recent Mayo Clinic report has also linked the drug to stomach problems including chronic diarrhea, vomiting, intestinal inflammation and weight loss. Bananas: Good sources of potassium, nature’s most powerful blood-pressure-lowering medicine. Avocado: Another major potassium source. Yogurt: Rich in calcium, which reduced the risk of high blood pressure. Dark chocolate: A guilty pleasure for many that has an added benefit of containing polyphenols, a major class of bioactive phytochemicals proven to protect against heart and vascular disease. Red wine: While too much alcohol increases the risk of high blood pressure, red wine in moderation soothes the arteries, reduces blood sugar and lessens diabetes risk, Brill writes in the Huffington Post. You should consult with a doctor if you have any ongoing symptoms or health concerns and before making any changes in medication. You should also consult with a lawyer if you have injuries connected with Benicar.